As President Bush prepares to move into his new Dallas home at the end of his term, neighborhood residents worry about having him close by. One woman shared her fears as she walked past Bush’s house carrying her King Charles cocker spaniel on Friday. “I am afraid with all the negative press the president has been getting, the whole neighborhood is going to be a target,” said the woman, who refused to give her name. Traffic has already begun to clog the narrow streets around the home, causing neighbors to call the police — who expect the hullabaloo to continue. “When the Bushes are here full time, I imagine we’ll be here full time,” said Officer Michael Bratcher of the Dallas Police Department, who was directing traffic. “Mr. President — you excited about your house in Dallas?” Todd Gillman asked. 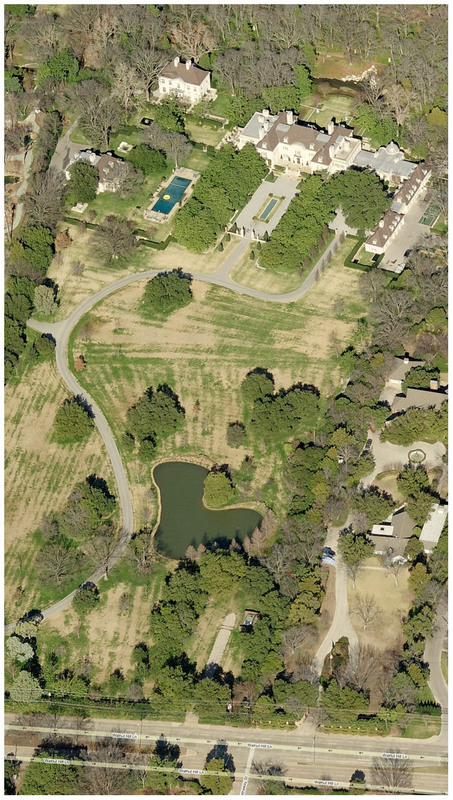 President Bush’s new house abuts the 14-acre lair of real-estate investor Gene Phillips, who just had a trout-filled lake installed on his property.